Swedish filmmaker Ruben Östlund is coming to be known as a storyteller who likes to push his characters to the edge, putting pressure on the essence and core of their humanities. In 2014’s Force Majeure, he did this through one father’s simple, but brash decision that threatened to change him in the eyes of his family forever. In his latest project The Square, he takes the magnifying glass to a much larger arena — the contemporary art world — exploring the ways and extents to which we separate or intermix art, life, humanity, and society. His first sequence, featuring Elizabeth Moss as a visiting journalist, poses an intriguing question: just because something is called art, and is exhibited as such, does that in fact make it art? It is a question of pretense, to be sure, but an important one to ask nonetheless. Mirroring art to reality, The Square itself stands under this same scrutiny. It forces its audience to ask the question of whether packaging a film in high-brow musings of society and humanity makes it art, or even worth watching. It may be art, but is it good art? I would posit no, even if the film’s Palm d’Or from Cannes suggests otherwise. The Square undeniably has its moments of shock, awe, and contemplation that work in their individual parts. 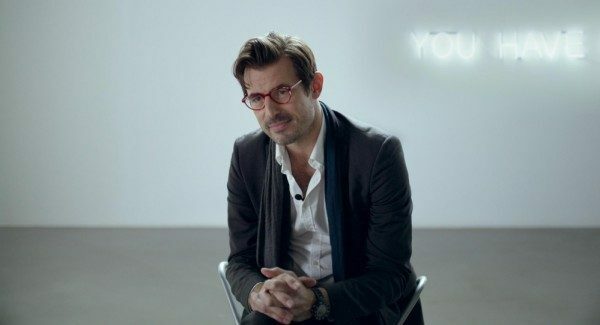 The film follows Christian (Claes Bang), the curator of a contemporary art museum who is trying to generate buzz for their latest installation — a piece called “The Square.” It challenges whomever steps within its quadrilateral lines to treat others as equals and expect to be treated the same, follow the polite rules of society, and help those that ask for it. 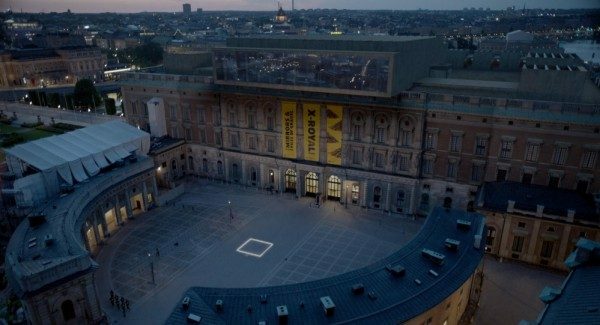 The odd twist is that the film never actually shows the installation put into effect, subtly suggesting that the world as a whole is The Square, or more specifically, the film. This is especially apparent in Christian’s life outside of the art museum. He gets caught up in a secondary story in which he searches desperately for the person who has stolen his watch and phone, tracking the culprit to a large apartment building through his phone’s built-in GPS tracker. In a case of mistaken identity, he is visited and harassed throughout the rest of the film by an innocently accused boy who challenges Christian’s own humanity and practices brought to light by The Square. By the end, this storyline, which had the potential to bring the film’s themes to clear head, will leave the audience in the lurch, wanting and expecting more, but instead receiving an ending that is ultimately and disappointingly bleak. The testing of Christian is immensely heavy-handed and tedious as he continues to ignore the realities that are staring him in the face. The film beats him on the head with The Square’s socio-political ideals in other ways, too, such as in a live-art performance gone terribly wrong (which will have some audience members wanting to leave the theater) as well as with a confusing sexual and post-sexual encounter that features a lot of impactless subtext-y dialogue. While the film’s plot and grand thematic leanings teeter between too on-the-nose and too convoluted, Östlund does succeed tremendously in his visuals. The over-opulent and grandly minimalist world of the movie works to create atmosphere and puts the actual events of the film on exhibit for the viewer, standing in as a performance of life in order for us to scrutinize and project our own ideas, much like we would for art at a gallery or museum. 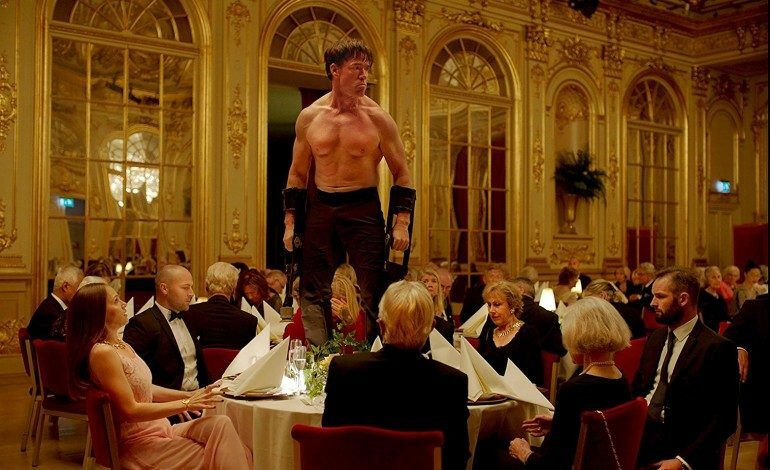 The Square is a film of unrealized potential. Östlund’s direction and visual landscape is ripe with opportunity for thematic and narrative richness that ultimately falls flat and proves shallow. The film screams its moral lessons at its audience, but doesn’t abide by them itself, leading to a story that essentially says nothing of value to its viewer.